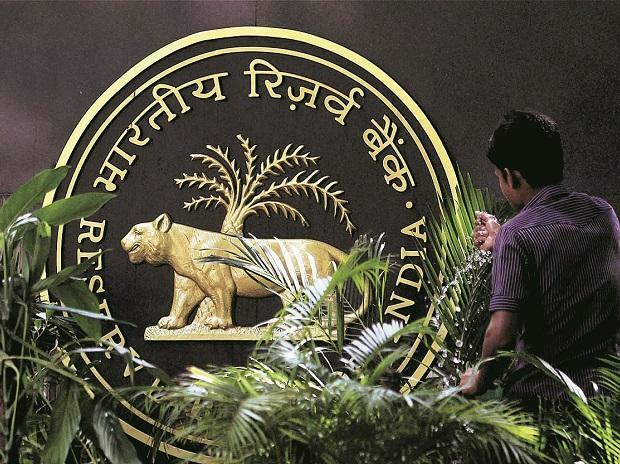 The Reserve Bank of India (RBI) on Thursday removed three public sector banks from the prompt corrective action (PCA) framework, allowing them to carry on normal business, especially lending. The three banks are Bank of India (BoI), Bank of Maharashtra (Mahabank), and Oriental Bank of Commerce (OBC). The central bank took this decision after reviewing the performance of these banks in the October-December (Q3) 2018-19 (FY19) quarter. The banks will, however, have to meet some norms that will ensure close monitoring. BoI and Mahabank have met the regulatory norms, including the capital conservation buffer (CCB) and have net non-performing assets (NPAs) of less than 6 per cent according to their third quarter results, the RBI said in a statement. In the case of Gurugram-based OBC, though the net NPA was 7.15 per cent, the government has since then infused sufficient capital and the bank too has brought its net NPA to less than 6 per cent. Hence, the banking regulator decided to remove the restrictions placed on OBC under the PCA framework. The RBI has put the PCA framework in place to maintain sound financial health of banks. It facilitates banks, which are in breach of risk thresholds in areas such as capital, asset quality (net NPA), and profitability, to take timely corrective steps to restore financial health. 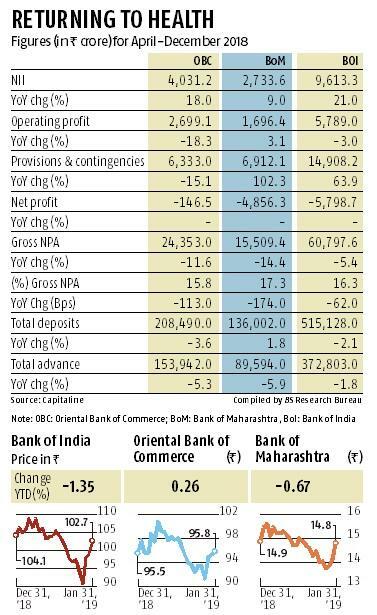 A bank is put under the PCA if its net NPA crosses 6 per cent, or is loss making for two consecutive years, or has capital adequacy below the 9 per cent regulatory requirement. Such lenders face restrictions on big-ticket corporate loans, opening new branches, and hiring. All 12 banks under the PCA have high levels of stressed assets and a poor financial profile. Besides these three, Mumbai-based IDBI Bank, Central Bank of India, Dena Bank, Corporation Bank, and Indian Overseas Bank are under the PCA framework. Three Kolkata-based lenders Allahabad Bank, United Bank of India and UCO Bank are also under the PCA regime. Dhanlaxmi Bank, a small South India-based bank, is the only private sector lender to be put under the PCA framework. The RBI said a few banks are not in breach of the PCA norms according to their published results for the quarter ending December 2018, except on return on assets (RoA). However, though the RoA continues to be negative, the same is reflected in the capital adequacy indicator. These banks have given a written commitment that they would comply with the norms of minimum regulatory capital, net NPA and leverage ratio on an ongoing basis. They have apprised the banking regulator about the structural and systemic improvements put in place to help the banks in continuing to meet these commitments. Further, the government has also assured that the capital requirements of these banks will be duly factored in while making bank-wise allocations during the current financial year, the RBI added. The PCA is intended to encourage banks to eschew certain riskier activities, improve operational efficiency and focus on conserving capital to strengthen them. The framework is not intended to constrain the performance of normal operations of the banks for the general public.